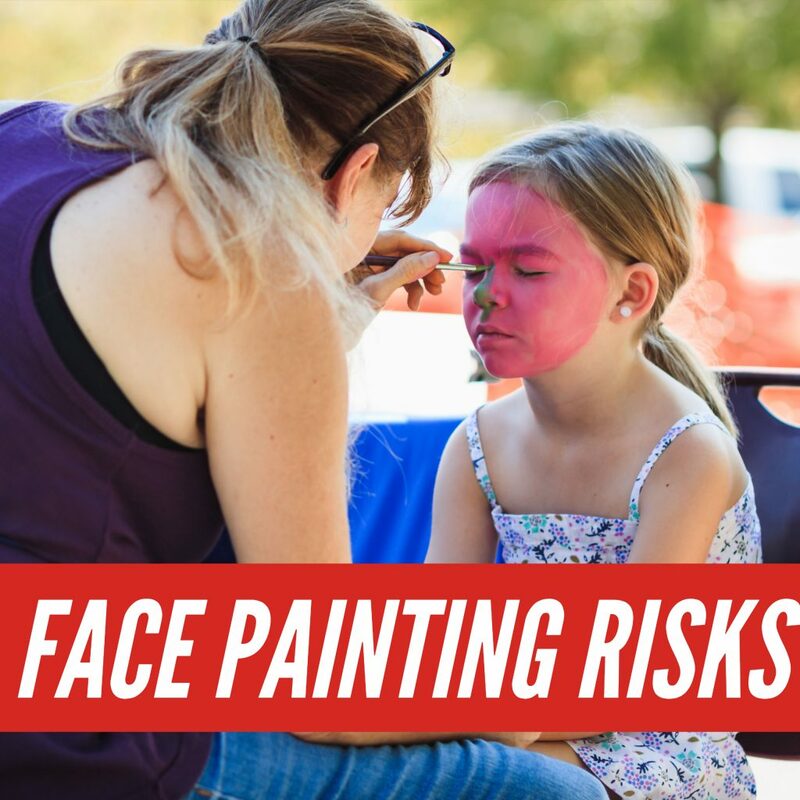 Face paints – what are the risks? Much like tattooing or the chip bowl at the house party, hygiene is the key. Double dipping should be prohibited. Meaning paints used for face painting should either be of a single-use type or dished out into single-use clean dishes using a serving utensil. Brushes should also be of single-use type – meaning a new brush is used for each face painted. Lead paint is another concern, but relatively a low concern. California bans the sale of lead-laced products, but sometimes it slips thru. So paints used by the painter should be from a reputable firm and generally are better if they are made here in America. Sorry, but the quality control in foreign countries is harder to control and less likely to meet muster. The last concern is the proximity of the painter and painted to roaming public, which means that we want to have a barrier (space) to prevent people from bumping into the painter and jamming that brush into the child’s eye. That’s it for the most part. Now go have some fun being a tiger! Previous Can you really reduce safety accidents by 85%? Let me show you how.